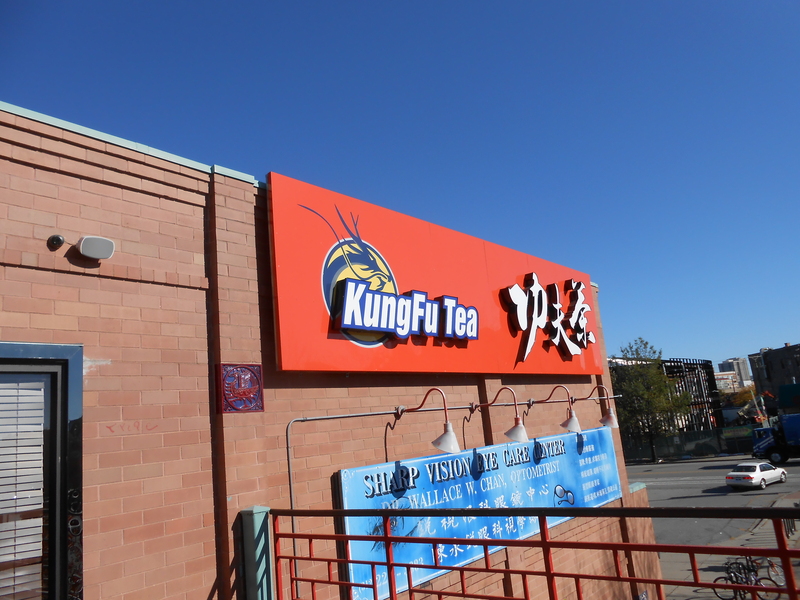 Kung Fu tea is located on the second level in new chinatown in the plaza at 2126 B South Archer Avenue. The only way I’ve found to get to the second level is by stairs, and there are several sets of stairs around the plaza to get up to the second level. When a friend and I had a couple hours to kill before heading to the movies I had to check out the new tea shop that had popped up in Chinatown. I was torn between ordering their coconut milk tea and their oreo milk tea. I started off with the coconut, it took awhile to get and I was disappointed and surprised having expected it to be sweet. It wasn’t terrible but I’d been hoping for something sweet like a smoothie. To make up for it I went back before we left and ordered the oreo milk tea, which didn’t taste exactly like an oreo but was pretty good, I had to keep an eye on it because my friend kept taking it. 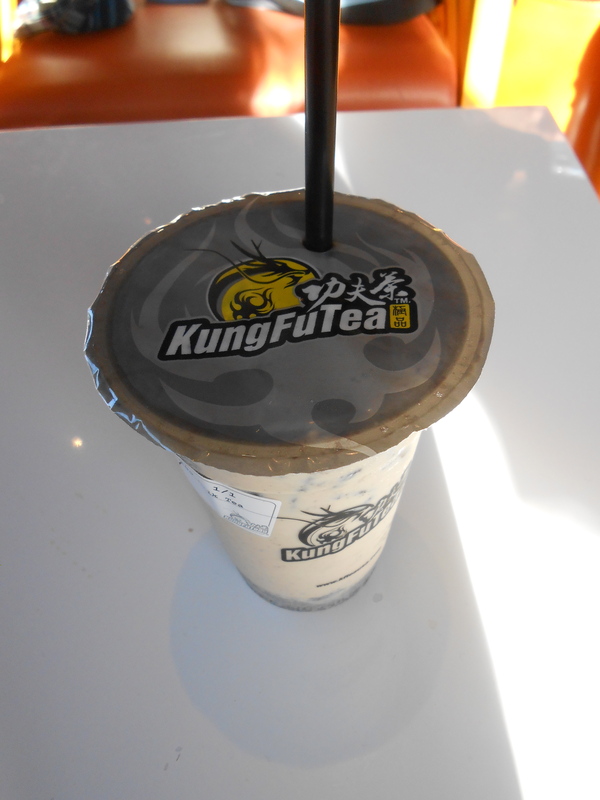 I’m sure I could spend hours at KungFu Tea. There isn’t a ton of seating set up but there are extra seats throughout the bright orange cafe and it wasn’t particularly busy. They set the shop up so when you order you hold onto your receipt till you get your drink because they check to make sure you’re the right person for the right drink. I’d love to go back and try some more drinks. There are a couple other KungFu Tea shops around the Unite States.